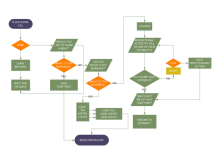 Flowcharts have many limitations, including oversimplifying, repeated modifications and reproduction. If you draw flowcharts by hand, it will be quite time and effort consuming. 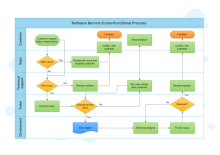 So it is advisable to rely on technology and use professional flowchart software. Every coin has 2 sides. 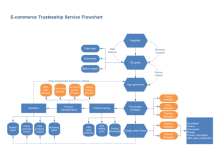 To understand the limitations of flowcharts is for better utilization of its benefits. 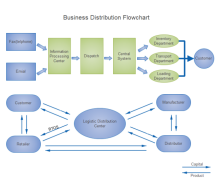 Generally speaking, flowcharts' disadvantages lie in the following aspects. (1) Complex Logic: Sometimes, the program logic is quite complicated. In that case, flowchart becomes complex and clumsy. In such cases, flowcharts tend to be oversimplify a process. 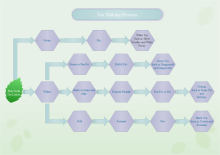 (2) Alterations and Modifications : If alterations are required the flowchart may require re-drawing completely. This is quite time and effort-consuming. (3) Reproduction : As the flowchart symbols cannot be typed, reproduction of flowchart becomes a problem. (4) The essentials of what is done can easily be lost in the technical details of how it is done. (5) Factors that affect the sequence are not included. To reduce the limitations of repeated modification and reproduction, Edraw flowchart software is the perfect tool. 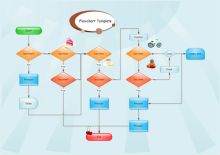 It offers built-in editable flowchart symbols and advanced diagramming tools. The symbols have attached text box. They can be resized easily. Furthermore, it supports auto connection of shapes. In this way, you can change the contents, relocate the shapes and add more shapes as easy as pie. 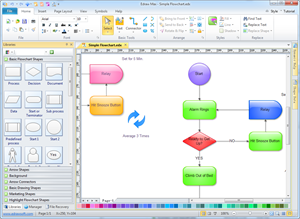 In a word, Edraw flowchart software aims to save time and energy and make it simple for all to create nice flowcharts. Seeing is believing. For your reference, here are some flowchart examples created by our flowchart software. You can click the pictures to view large versions or download them.